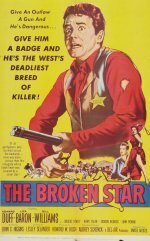 A deputy marshal is ordered to investigate the killing of a Mexican ranch hand by a fellow deputy, who claims self-defense. Using turn of the century forensic science and dogged determination, the deputy breaks down his partner's alibi and discovers that the lawman had killed the rancher for eight thousand dollars in gold that had been hidden in the Mexican's home. Now he must arrest his friend before the Mexican's gunslinging friends can kill him before he's tried for the crime.